As Formula Vee had been the SCCA's most numerically viable single-seater category, at least until the appearance of Formula Ford as a class in 1969, the huge US club was keen on introducing FV's big brother when it was announced in 1970. 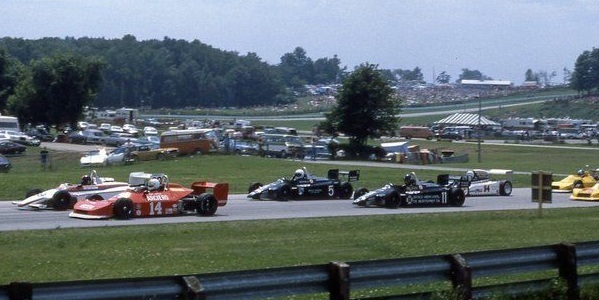 As well as being an SCCA class an National level in 1970, the SCCA introduced a Pro series in 1971, which was well contested by Lolas and Royales. The original combination of air-cooled engines and space-frame chassis changed in 1978 with the introduction of a watercooled engine and monocoque chassis. This raised the series to the same technical level as Formula Atlantic, and a number of FSV drivers were successful at a higher level, notably Geoff Brabham moving into Can-Am in 1980, and Al Unser Jr following him two years later. In 1982, FSV became CART's regular support series and it thrived as Formula Atlantic fell apart in 1983 and Can-Am went steadily downhill from 1983 onwards. But despite its brief purple patch in the mid-1980s before Formula Atlantic revived, Super Vee's ability to generate new talent faltered after Arie Luyendijk's title win in 1984. In 1986, it was joined on CART's undercard by the American Racing Series, which relegated FSV one rung on the development ladder. With other single-seater racing categories being introduced all the time, notably Barber Saab and Russell Mazda, FSV was struggling to retain its relevance as the 1980s came to a close. There was a plan to move to F3 chassis over the five-year period, but Volkswagen pulled the plug before that could happen. 1990 was FSV's last season. The 1985 season: Long Beach, Indianapolis Raceway Park, Milwaukee, Detroit, Meadowlands, Cleveland, Road America, Watkins Glen, Mid-Ohio, Sanair, Laguna Seca, Phoenix. Please email Allen if you have any material on US or European FSV race results. There was a strong production line of new talent out of US FSV: 1981 champion Al Unser Jr and 1984 champion Arie Luyendyk each won the Indy 500 twice; 1977 champion Bob Lazier and 1978 champion Bill Alsup were CART Rookies of the Year; 1973 champion Bertil Roos and 1982 champion Michael Andretti made it to F1; 1976 Champion Tom Bagley and 1979 Champion Geoff Brabham both found success in CART. Over in the European series, 1974 champion Keke Rosberg went on to be the 1982 World Champion.